← Mornington Cottage – A home away from home! 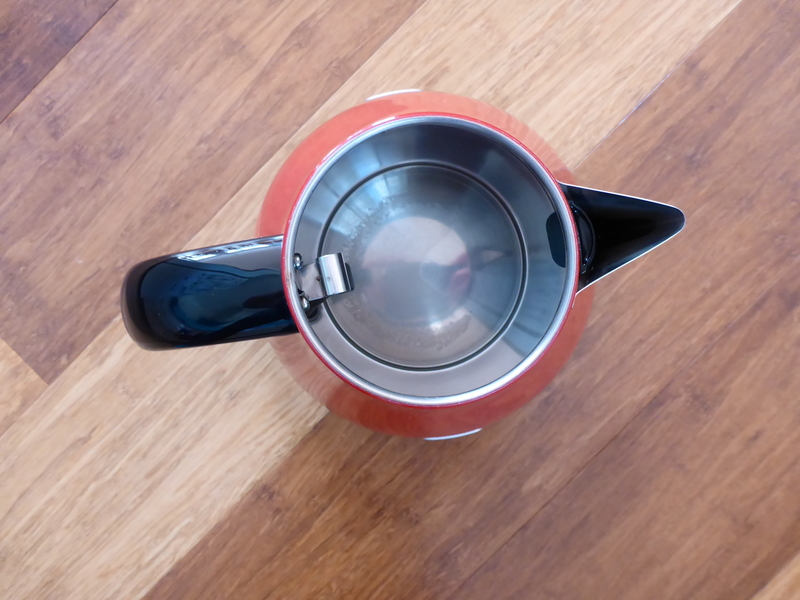 An easy way to clean your kettle. Have you ever looked in your kettle when you are filling it up and thought ‘Wow, that really does need a good clean but how do I clean it?’. 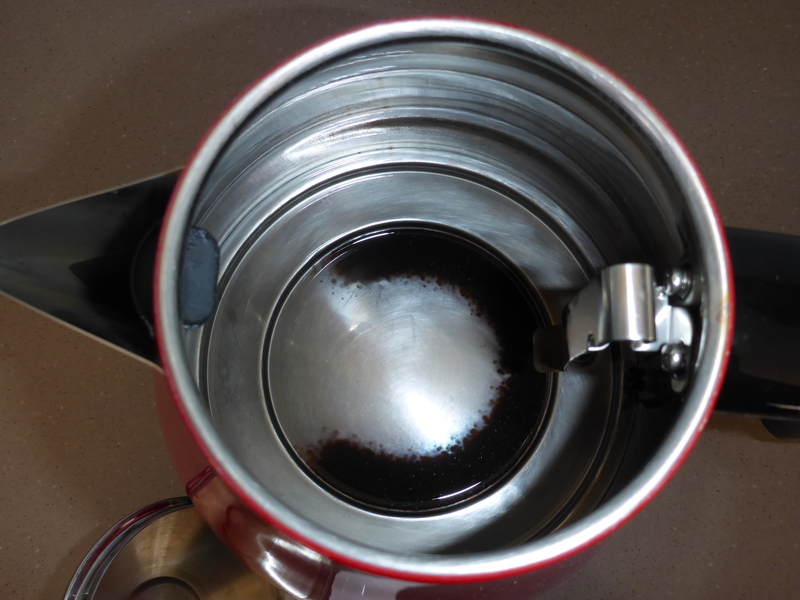 How to get rid of the black staining in your kettle. Well it isn’t as daunting as it seems. All you need is your kettle, some water and a teaspoon of cream of tartar. 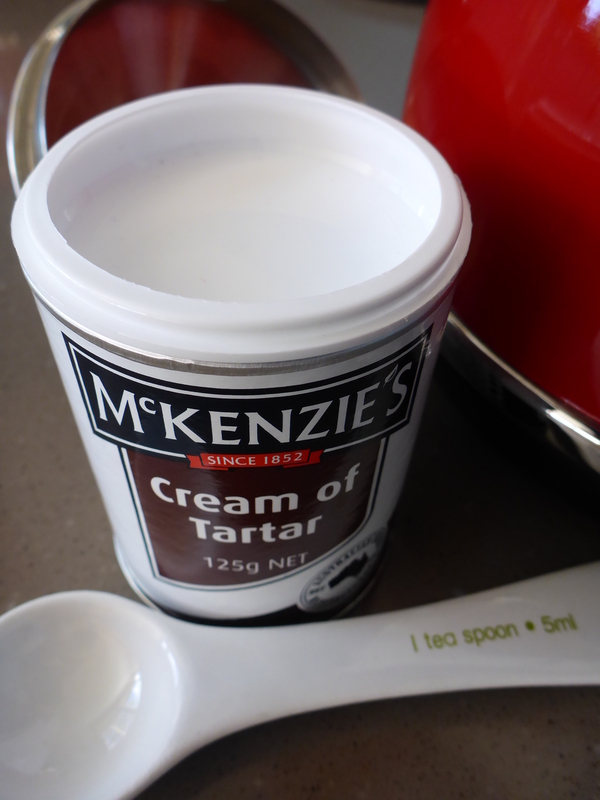 Add 1 teaspoon of Cream of Tartar. Sprinkle the cream of tartar into your kettle and fill with water. Bring kettle to the boil. Once boiled leave to cool. Empty kettle and rinse making sure you rinse out all the cream of tartar crystals. Fill the kettle (this time without the cream of tartar), boil, cool and rinse again. The kettle should be clean and shiny but if not you can repeat the process again. You can use this same method on your stainless steel pots and pans. My mother has done this for years and her pots look as good now as they did the day she bought them 50 years ago. Of course with your pots and pans you need to clean them first to get any food off and then boil with the cream of tartar. Your kettle is now clean and shiny. Good luck and let me know if you have any other tips on cleaning your kettle or your pots and pans. 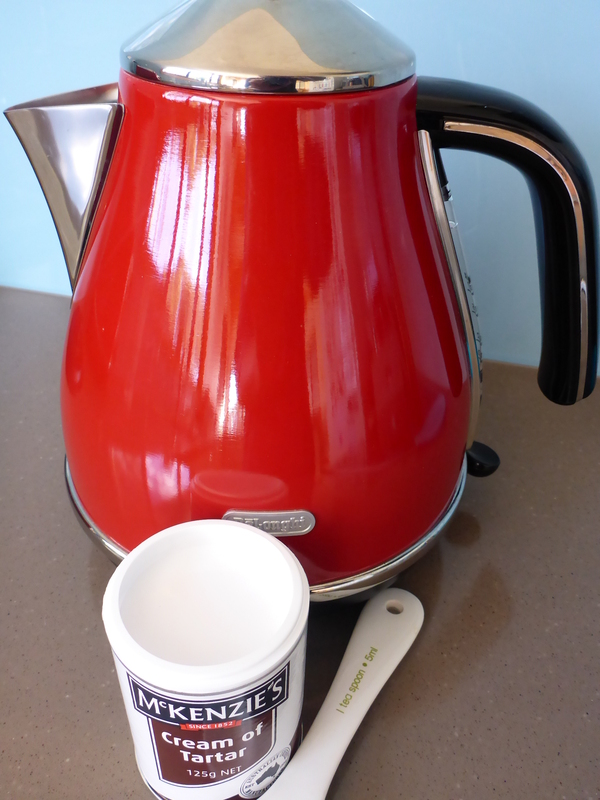 This entry was posted in Hints, Tips and clues., Home and tagged Cleaning, Cream of Tartar, Hints, Kettle, Tips. Bookmark the permalink.